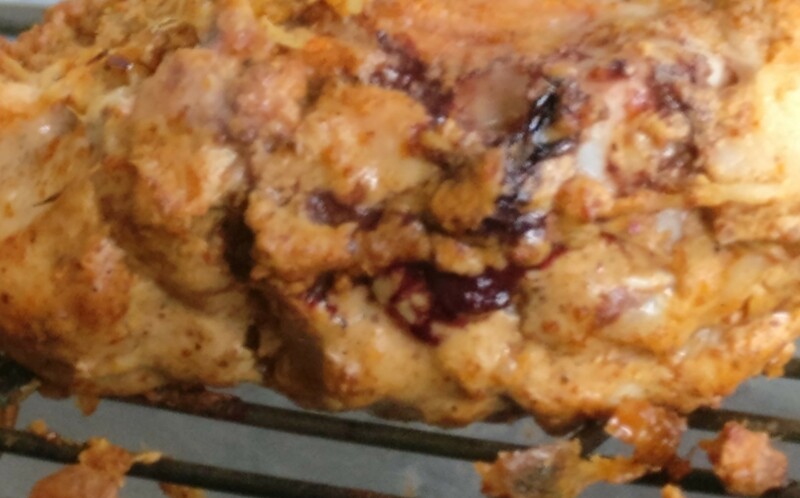 Does anyone know what this dark red colored discharge is from this grilled chicken? I'm grilling marinated chicken (I'm following a Tandoori chicken recipe which involved marinating the chicken in lemon, curd, Ginger, garlic and some other spices for 3 hours in the refrigerator). And here's another image before I turned it over and zoomed in. Since, I'm a complete beginner in cooking chicken I'm not sure whether this is a normal thing or not. Can someone please help me out with this? @pb2q is right, it's blood. This happens during processing. When the meat isn't allowed to bleed (i.e. 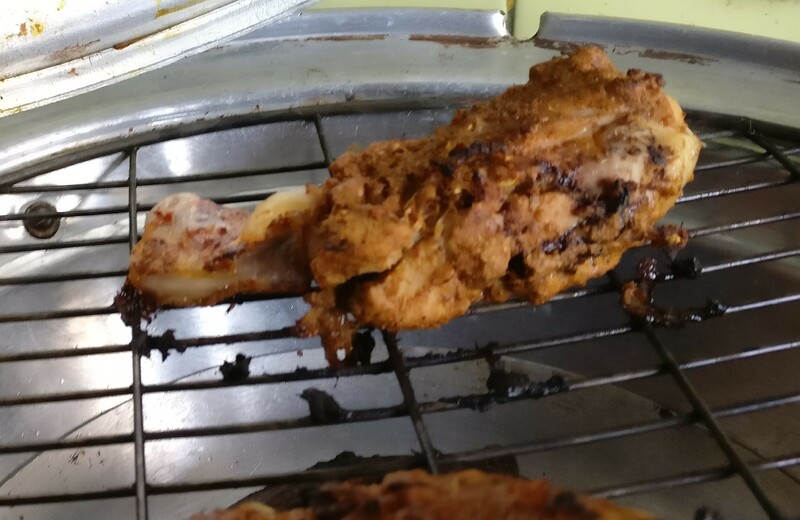 ; drain blood) long enough, then some of the blood remains in the muscle structure and cooks along with the chicken. It might look odd, but it's not a concern as far as eating it is concerned. It won't "hurt you". If it bothers you (as it might for some people), just remind yourself not to buy that brand of chicken again. If one bird from this company was rushed during processing, there's a reasonable chance that they always "rush the process". Easiest solution might be to just switch brands... but please, don't thrown out the Tandori Chicken. I bet it's... delish! It's the chicken losing some blood during the cooking process. No need to worry, I hope the recipe was a success! Not the answer you're looking for? Browse other questions tagged chicken grilling or ask your own question. What is the name of this chicken soup dish? In what way is kosher chicken different from brined chicken in terms of salt absorbtion? Are these grates okay to cook on? What does it mean if my chicken tastes like fish? What is this colored fiber in my chicken?